In 1943, dollmaker Samuel Mullins (Anthony LaPaglia) and his wife Esther (Miranda Otto) grieve for the loss of their seven-year-old daughter Annabelle, "Bee" (Samara Lee), who died after she was run over by a passing car. 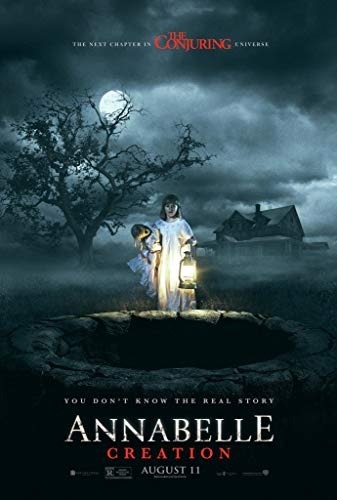 An unknown entity, which the couple believes to be their daughter's spirit, convinces them to transfer its essence into one of Samuel's crafted porcelain dolls. Their elation soon turns to anguish when the Mullins realize they have attracted a demon looking for a human host. They take the doll to Bee's room and lock it in a closet wallpapered with pages from the Bible before enlisting the help of priests to bless both the room and the house. Read more on Wikipedia.